공공성을 시장에 대한 반대 개념으로 보는 견해는 시장과 정부라는 이분법에 기초하고 있다. 시장-정부라는 단순한 이분법은 현실의 제도를 이해하고 문제해결을 위한 정책을 고안하는데 도움이 되지 않는다. 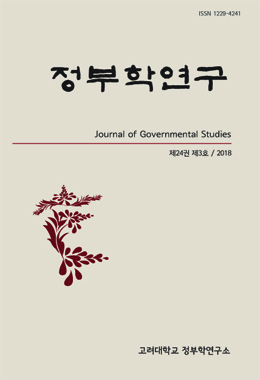 이 글은 코즈(Ronald H. Coase)와 오스트롬(Elinor Ostrom)이 공공재와 공유재에 대한 제도론적 연구에서 어떻게 시장-정부 이원론을 극복하고 있는지를 살펴본다. 두 학자들의 연구는 현실의 제도가 시장 또는 정부라는 단순한 이분법에 의해 포착될 수 없는, 시장적 요소와 정부적인 요소들을 포함하는 문제해결을 위한 규칙의 체계임을 보여준다. 사적인 것은 시장의 영역이고 공적인 것은 정부의 영역이라는 공-사 구분법 역시 극복되어야 한다. 공공성이라는 개념은 구체적인 문제의 맥락에서 그 문제와 관련된 사람들의 범위를 설정하고, 그 문제와 문제에 대한 가능한 해결책의 성격을 규정하기 위해 사용되어야 한다. The view that puts publicness against the market is based on a simple dichotomy between the market and the government. This dichotomy, however, does not contribute to understanding the real-world institutions or to designing policies for solving social problems. This article examines how Ronald H. Coase and Elinor Ostrom overcome the dichotomy in their studies of public goods and the common-pool resources. Their studies show that the real world institutions are rich complexes of market-like and government-like aspects that cannot be captured by the market-government dichotomy. The simple distinction between the public as governmental arena and the market as the private arena needs to be abandoned. The concept of publicness could be productively used in the context of specific collective action problems to define the boundaries of the people involved and to reveal the characteristics of the underlying social problems as well as the available solutions to those problems.